The Pentagon isn’t known for being frugal with its spending habits, and new reports have surfaced which show that US taxpayers footed the bill for nearly $150 million in luxury villa rentals and fine dining in Afghanistan. To provide those employees of the Task Force for Business and Stability Operations (TFBSO) with flat-screen TVs of at least 27 inches, private bodyguards, and food of at least “three star” quality, the total bill reached $150 million, 20% of the task force’s total budget. That money was meant to go toward rebuilding Afghanistan’s infrastructure, but instead went to a military contractor known as Triple Canopy to provide the pricey accommodations. That company has earned approximately $2.2 billion in government contracts since the wars in Iraq and Afghanistan began in 2003. That price tag seems especially high given that it only covered “no more than five to 10” staffers, the letter said. By comparison, housing staff in the US Embassy in Afghanistan would have cost, at maximum, $1.8 million. Housing those staffers on a military base would have little or nothing extra. Sapko’s letter points the blame at Paul Brinkley, the task force chief allegedly responsible for approving expenditures. Sapko also claims that Brinkley has been uncooperative during SIGAR’s investigation. This isn’t the first time that TFBSO has come under fire for inappropriate spending. The task force faced scrutiny last month for spending $43 million for an Afghan gas station that should have cost $500,000. Brinkley himself was the subject of a military investigation in 2007 for alleged financial mismanagement in Iraq. “This letter raises troubling questions that have become all too familiar when we’re talking about how taxpayer money is spent on projects in Afghanistan,” Missouri Senator Claire McCaskill said, according to USA Today. 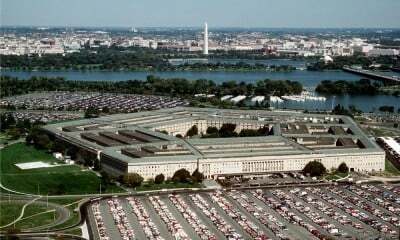 McCaskill, a member of the Senate Armed Services Committee, has called for greater transparency in Pentagon spending.